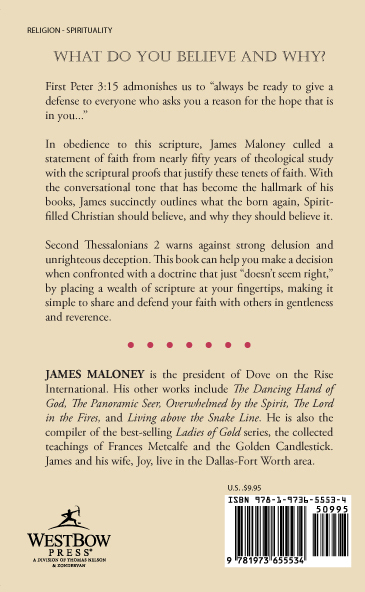 In obedience to this scripture, James Maloney culled a statement of faith from nearly fifty years of theological study with the scriptural proofs that justify these tenets of faith. 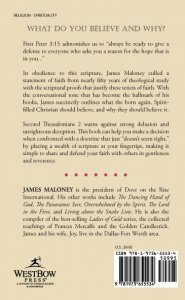 With the conversational tone that has become the hallmark of his books, James succinctly outlines what the born again, Spirit-filled Christian should believe, and why they should believe it. Second Thessalonians 2 warns against strong delusion and unrighteous deception. 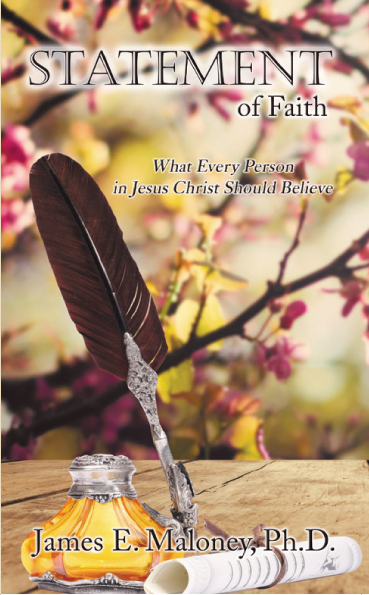 This book can help you make a decision when confronted with a doctrine that just “doesn't seem right,” by placing a wealth of scripture at your fingertips, making it simple to share and defend your faith with others in gentleness and reverence.